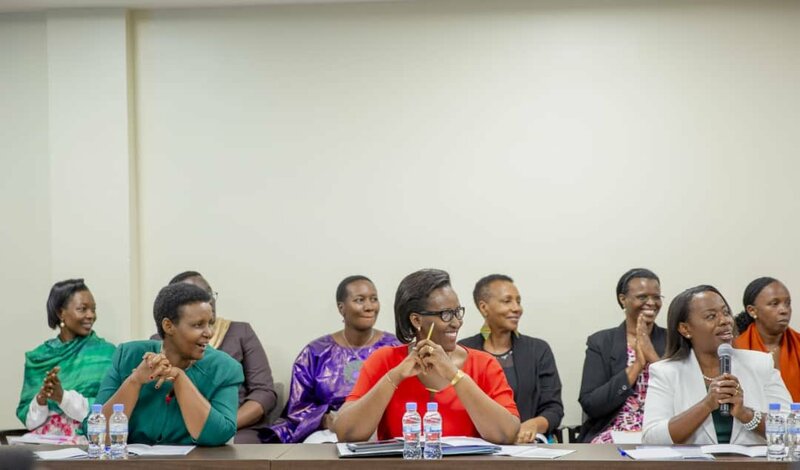 Rwanda’s First Lady, Jeannette Kagame and Chairperson of Unity Club (UC) Rwanda- Intwararumuri today joined fellow members, for the first part of the third annual retreat, at Intare Conference Arena in Rusororo. At the start of the one day UC Rwanda members held a closed retreat that witnessed new members brought on board and a subsequent election of new UC Commissions and Head of Bureau. The club also has plans to build a school of leadership and good governance in Kigali. Below is a list of the new UC Executive Committee. As per Unity Club legal status, the executive he committee serve for two years, renewable.